Amazon's virtual assistant can now play almost any radio station thanks to new Alexa skills. 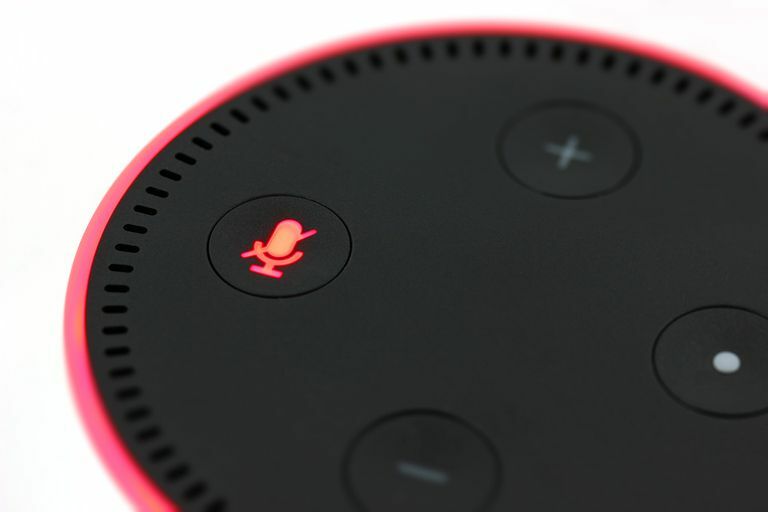 Fortunately, all Alexa skills are completely free, so you can start listening to your favorite stations on your Amazon Echo or Fire Tablet without subscribing to a third-party service. Most, but not all, Alexa skills are compatible with Amazon Sonos sound systems. Alexa is not available for older Kindle Fire models. Tap the hamburger icon in the upper-left corner and tap Skills & Games from the menu. Search for the skill you want, or tap Categories, then tap either Music & Audio or News to browse specific stations and skills. Select the skill you want and tap Enable Skill. Alternatively, you can just say, "Alexa, open skills," and tell Alexa which skill you want to enable. If Alexa presents you with a numerical list of options, just say a number to confirm your choice. Can Alexa Play Local Radio Stations? There's a chance Alexa can already play your favorite local station without the need for any skills; try saying, "Alexa, play [station]." You can request stations by name, frequency, or call letters. Likewise, you can request certain old-time radio shows by name like "Radio Mystery Theater." If Alexa can't find what you want to hear, try enabling the following skills to vastly expand her repertoire. Radio-Locator is a helpful tool for finding information about your local stations, including frequencies and call numbers. Easy to find stations outside of the U.S.
Alexa struggles to recognize names of non-English stations. No integration with the MyTuner Radio app. MyTuner Radio lets you tune into over 50,000 stations from all parts of the world. You can ask for stations like NPR and BBC, or you can request a random station specializing in a certain genre, such as jazz, news, or sports. Just say, "Alexa, ask MyTuner Radio to play [station/genre]." You can even get more specific. For example, try, "Alexa, ask MyTuner Radio for the best hip-hop stations in Columbia." Alexa will give you a list of stations to choose from. Nice mix of popular and underground tunes. Perfect for parties and social events. No option to block certain songs or artists. Alexa confuses the Radio Paradise skill with the app. Can't decide what you want to listen to? Just say, "Alexa, open Radio Paradise skill." You'll hear a song from a random genre curated by professional DJs who specialize in serving diverse musical tastes. If you like what you hear, just say, "Alexa, ask Radio Paradise what’s playing." To skip ahead to another song, say, "Alexa, next song." Impressive selection of classic content. Find specific episodes by number or title. Tends to repeat the same episodes when set on random. Poor original audio quality for most shows. If you're a fan of old-school radio programs like "Gunsmoke", "Dragnet," and the "Abbott & Costello Show", then Radio Fun Time was made for you. Begin by saying, "Alexa, open Radio Fun Time." You can request a specific show, or ask Alexa for recommendations from a certain genre. Say "Alexa, next" to skip to another episode. Unbiased reporting from the world's most reputable news sources. Only two news outlets from the U.S.
Alexa's robotic reading voice gets grating after a while. No one should rely on one source for their news. Fortunately, Radio Anchor makes it super easy to seek out different perspectives. Try commands like "Alexa, ask Radio Anchor to play sports stories from The New York Times," or "Alexa, ask Radio Anchor to play news stories from All India Radio" to expand your worldview. The only downside is Radio Anchor doesn't actually play live radio streams; instead, Alexa reads the news aloud. Excellent resource for history teachers and students. The vivid descriptions are not for the faint of heart. To relive one of the decisive moments of World War II, say, "Alexa, open Radio D-Day" to hear an actual broadcast from June 6, 1944 that provided complete coverage of the invasion of Normandy. If you want to skip ahead to the Allied victory, say, "Alexa, next." If you're particularly interested in that time period, Radio Complete Day is another Alexa skill you need. Say, "Alexa, open Radio Complete Day" to hear a whole day of broadcasting from WJSV in Washington D.C. on September 21, 1939.